Together the Project Success Incorporated team and the Project Success Method are an invaluable asset to any organization. Our multi-industry, multi-discipline experienced team has been providing training and real-world consulting services globally to Fortune 500 and 1000 corporations for 35 years. 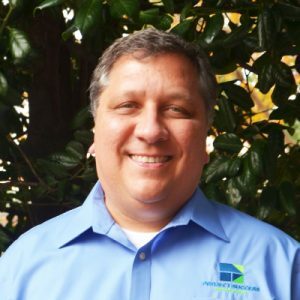 With over 25 years of project management experience, Clint has built his career helping Fortune 100 companies optimize their businesses. He is a graduate of The Georgia Institute of Technology with a Bachelor of Electrical Engineering and holds a MBA in Business Administration from The Fuqua School of Business at Duke University. Clint shares his expertise by speaking at conferences around the world and teaching classes at the SCTE-Georgia Tech Management Development Program. He is also the author of two books. Agile development has ushered in an obsession with adaptive planning and continuous improvement. But the collaborative effort of cross-functional teams that it relies on is all too often built without a strong foundation. Clint’s latest book provides the missing blueprint. David’s work experience prior to joining PSI includes 15 years in the textile manufacturing industry. 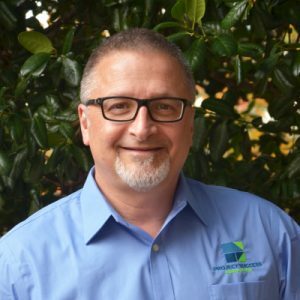 He has worked both domestically and internationally in a series of manufacturing and technical managerial roles, including as Project Manager for a major facility expansion/modernization, as Technical Manager for a facility design/construction/start-up (part of a four-year expatriate assignment in Mexico), and as a Process Improvement Manager. R.C. (Rocky) Rosacker is a Principal Consultant and Instructor for YCA. Mr. Rosacker came to YCA with over 20 years of financial management and program development experience in Government service. He has an extensive background in planning, programming, and budgeting major capital projects. His project management experience includes systems development, facilities construction/start-up, new product introduction, manufacturing processes, continuous process improvement, quality improvement, and prototype development of nationwide Management Information System. 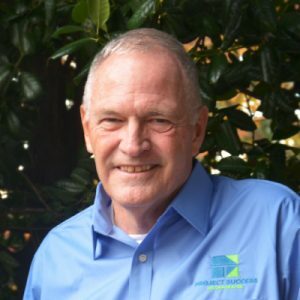 Mr. Rosacker was the lead consultant for Georgia Power Company’s Olympic Project Management group. He has been the lead consultant for the development of several Project Management Offices. Since 2002 Mr. Rosacker has worked with Caterpillar, Inc in emerging markets development. Additionally, he was the project manager for the implementation of Total Quality Management for a large government organization. Mr. Rosacker taught in the Computer Science Department at the U.S. Naval Academy in the capacity of an Associate Professor and has been an adjunct faculty member with the University of Maryland’s School of Business Administration. He has served on the personal staff of a Member of the U.S. Senate as a Congressional Fellow. Mr. Rosacker is a graduate of the University of Kansas with a Bachelor’s Degree in Economics. He holds a Master’s Degree in Business Administration from the University of Texas at Austin, belongs to several professional organizations and is a certified PMP. Vincent (Vince) Bennett is the PSI vice-president of operations, and as such is responsible for managing the firm’s consulting division. He has an extensive background in project and process engineering, including over 20 years using the Project Success MethodSM as both a client and consultant. Prior to joining PSI, Vince held engineering, operations, and managerial positions with firms in the aerospace and medical device fields. His project management experience is extensive and covers a broad range of project applications, industries, and cultures. Specific consulting experience includes not only managing projects in the manufacturing, injection molding, heavy equipment, product development, construction and IT industries, but also ensuring that project portfolios are in alignment with corporate strategies and competencies. Vince is a graduate of the University of Minnesota with a Bachelor of Science degree in Mechanical Engineering. He is a member of SAE, the NHRA, and the Project Management Institute as a PMP. Tawny Hall is a PSI Senior Consultant, and as such she has provided services to clients both nationally and internationally. Her project background and experience includes a wide range of applications including: new process and new product development and introduction, special event planning, facility construction and start-up, acquisitions, facility closures, development of project management office implementation, and international sporting events. Tawny has over 12 years of experience in using and applying the Project Success MethodSM as a consultant. Prior to joining PSI, Tawny held process and environmental engineering positions, Total Quality Management and ISO 9000 development and auditing coordinator responsibility, and technical and operations managerial positions with firms in the chemical industry for over 25 years. She has extensive experience working with governmental entities both domestically and internationally on Environmental Regulatory Compliance, Contingency Planning and Emergency Management, and Environmental Emergency Response. Tawny has been instrumental in developing and implementing international Plans of Action to mitigate time-critical chemical and environmental emergencies. 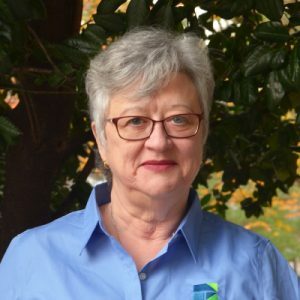 She was a lead instructor in the live-chemical emergency response training program developed in Baltimore, Maryland, which provided training and coordination with the United States Environmental Protection Agency along with various State and local Emergency Management and Environmental Protection Agencies. Tawny is a graduate of West Virginia University with a Bachelor of Science degree in Chemical Engineering and is named as co-inventor of the Continuous Phosphorylation Process represented in the United States Patent 4629803. In 2013, Tawny Hall was elected to serve as the District 1-H Governor (2013-2014) of the International Association of Lions Clubs, one of the world’s largest Non-Governmental Service Organizations, where she was responsible for organizing and directing the national and international humanitarian service activities of 1,500 Lions Club members in the Central Illinois District. Dave joined PSI as a Senior Consultant in 2016, providing consulting and project support to the semiconductor industry. 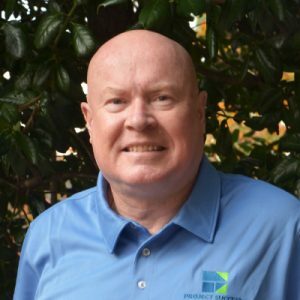 Prior to joining PSI, Dave worked 30 years in engineering, engineering management and program management in the semiconductor industry, delivering new products to the automotive, storage, cellular communications and personal computer markets. 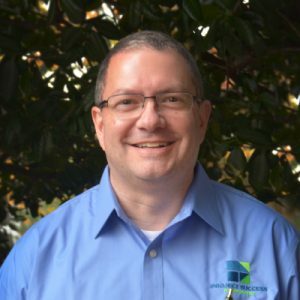 Dave has extensive experience leading domestic and international teams. Dave’s background includes more than eight years applying the Project Success Method℠ as a client and as a consultant. As a client he observed how implementation of the Project Success Method℠ can lead to dramatic reductions in project cycle-times and improve resource utilization. Dave lives in Fort Collins, Colorado.